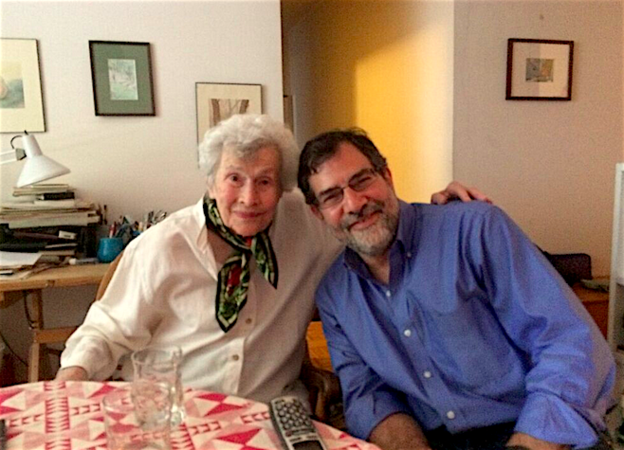 Yesterday Charles Bernstein and I interviewed the radical poet Naomi Replansky, now 98 years old. The interview will soon be available as an episode of Charles's "Close Listening" series. Naomi corresponded with Harriet Monroe in 1934 (I have copies of those letters from the POETRY archive) and published 3 poems in POETRY soon after. In the late 1940s and early 50s she published in the communist magazine "Masses & Mainstream." Her book "Ring Song" came out in 1952 and was nominated for a National Book Award. During our talk yesterday she recited the title poem "Ring Song" and several other poems—magnificently. She attended Gertrude Stein's lecture in New York in 1934. She was a friend of Bertolt Brecht in Los Angeles, where she also befriend the group of poets around the magazine "California Quarterly." Her Selected Poems was published in 2012.